First Team is the nation's most secret rapid response team. In the modern world where enemies can lay an attack and be in another country before it has gone off, the Intelligence community seems to be constantly playing catch-up. 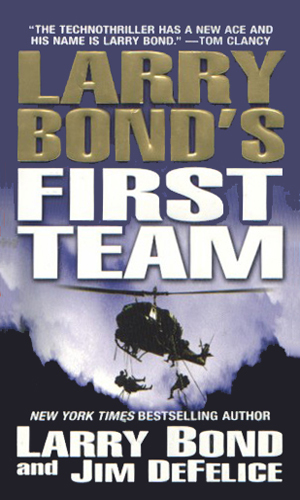 For this reason, the President established a small group named the Joint Services Special Demands Project but known simply as "The First Team" or sometimes just as "The Team". Its directive was to exist outside the realm of normal bureaucratic oversight, ready and able to strike at a moment's notice. It had a nearly unlimited budget and was closely affiliated with the Joint Special Operations Forces lead by Colonel Van Buren who had a battalion of Special Forces troops at his disposal. 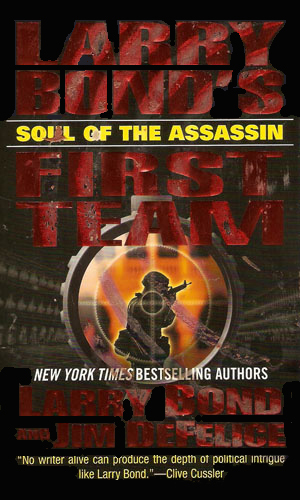 The covert nature of the work of the First Team, though, was specifically dictated by the Deputy Director of Operations of the CIA but the actual operations were left to the lead agent of the small team. 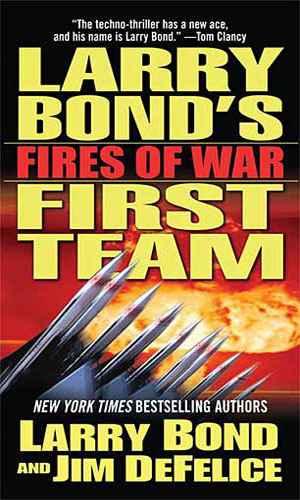 In the case of this series, that small group was lead by the highly experienced CIA officer, Bob Ferguson, known as Ferg. He was assisted by two commandos from Special Forces named Conners and Rankin and a Marine named Young. The star of the series, though, is the former Yale quarterback and graduate, Ferguson. Ferg definitely did not have to work for the CIA if he didn't want to, indeed he could probably have not worked for anyone as he was one of the heirs to a fortune made by his grandfather in the construction business decades before. This money gave Ferg most anything he might need, a fine upbringing, the best schools, and a chance at any life he chose. He chose to get his hands dirty serving in the clandestine business of keeping his country safe. A large quantity of radioactive waste, being shipped across Russia, has been stolen. Ferguson gathers his team to help hunt for it, working on the assumption that it is bound for the U.S. for an attack on American soil. 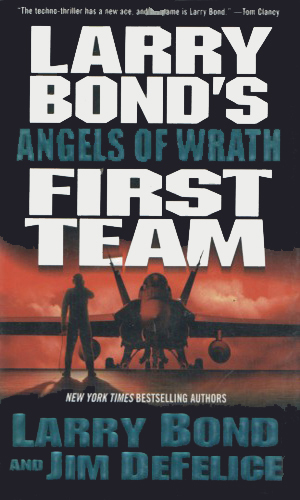 The Team must travel back and forth through the Middle East looking for rockets sold by Russian blackmarketers to a terrorist group called the Seven Angels. That group is planning on caused wholesale destruction to Israel even as the President is making a visit to Iraq. Even as North Korea suddenly vows to give up its nuclear research for good, one of the First Team operatives learns the work continues. The CIA discounts the intel, leaving Ferguson to make a dangerous call on his own. The CIA has been hunting the assassin for many years, putting him at the top of their most wanted list. Word of his movements send The Team to catch him, even though no photo of him exists for the past decade. There is far more military action than spy action in this series but Mr. Bond is a heckuva storyteller who knows his subject perfectly. And Mr. DeFelice is a darned good writer who can definitely get you into the action and keep you there so I liked the series. I also really liked the characters, each one quite unique and yet able to work as a cohesive team thanks to the personality of the leader. The adventures are exciting, the action nearly constant, and the plot lines plausible enough to be scary. It would have been nice to see a bit more of the personal life of at least the main character but with all the action going on, I guess there just wasn't time or space.